I think of this sunset as one of Manila Ocean Parks unexpected delights. 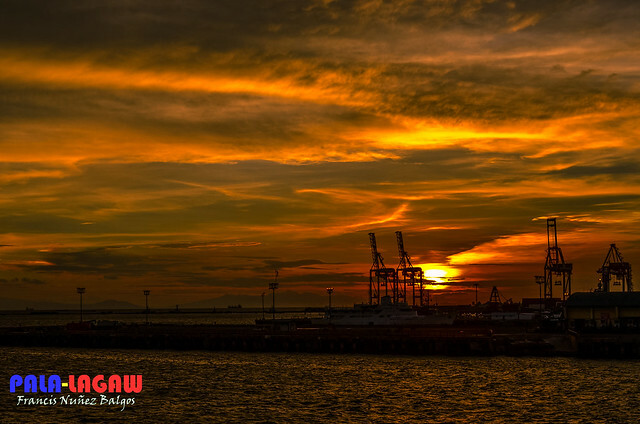 Being located in Manila Bay with their structure literally on stills in the water, this is a good vantage point to watch sunset fall over the Manila North Harbor. I had it time perfectly, so that my siblings whom I brought here for an end of summer visit and exploration would learn to appreciate nature's varied wonders. It was amazing just to observe people's amazement at the wonderful sight. As is, we would normally seek breathtaking Sunset's from a better vantage point which are the beaches, but it's not always true so If we know which way to look. Though Manila Ocean Park's offering comes with a fee and a tour in an enclosed space, this one is a bargain free of charge. As a second timer to Manila Ocean Park, this was something I was looking forward to see again. 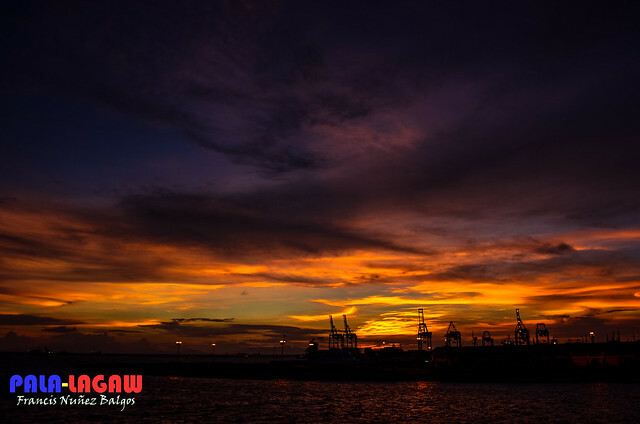 One of the reasons why I choose to explore the Oceanarium in late afternoon is so I could photograph the Manila North Harbor when we finally come out from the tour and explore the back lobby of the Park. It's not surprising that though the Manila Bay is a body of polluted water where this Metropolis of Manila is dumping sewage, it's baywalk is a place well loved and well appreciated by those who frequently visit it. 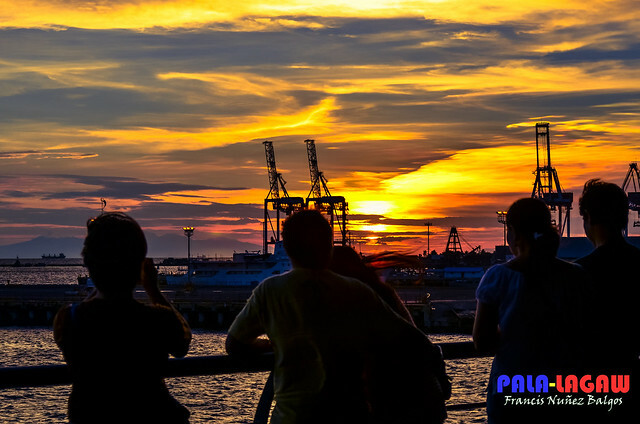 I've photographed Manila Bay Sunset from the back lobby's of SM Mall of Asia, and they have one thing in common with this one in Manila Ocean Park, simply a beautiful sight to behold. Oh my! parang painting!! inedit mo to? ang ganda!!!! @ Gemme - enhanced lang, I removed a few noises, then sharpened the photo a bit.. voila! I love sunset and photos of it. It's always great to see day break into night. Great photos. manila bay sunsets never fail to amaze me. excellent photography! Ganda! Manila bay sunset - pang world class na image! Manila bay still hold her reputation of having the best sunset in the Philippines. love the photos!! :) idol! great photos! kaka-relax just by looking at it. Gorgeous photos! I love it!